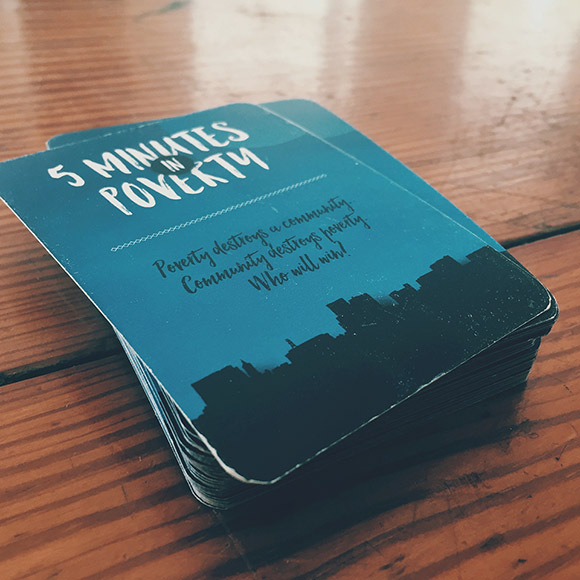 To help us as a community better understand some of these unique challenges and choices, we’re introducing the 5 Minutes In Poverty playing card experience. 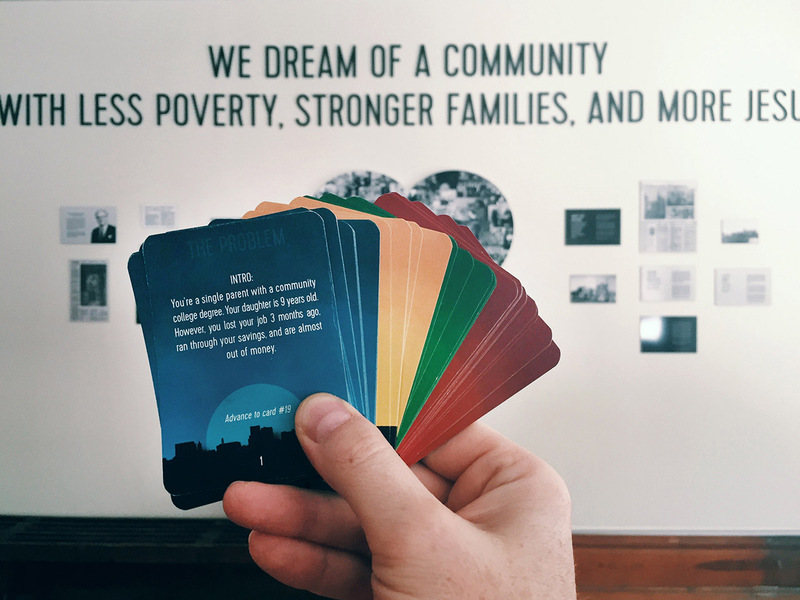 Each card presents you with a scenario that a person in poverty might face. 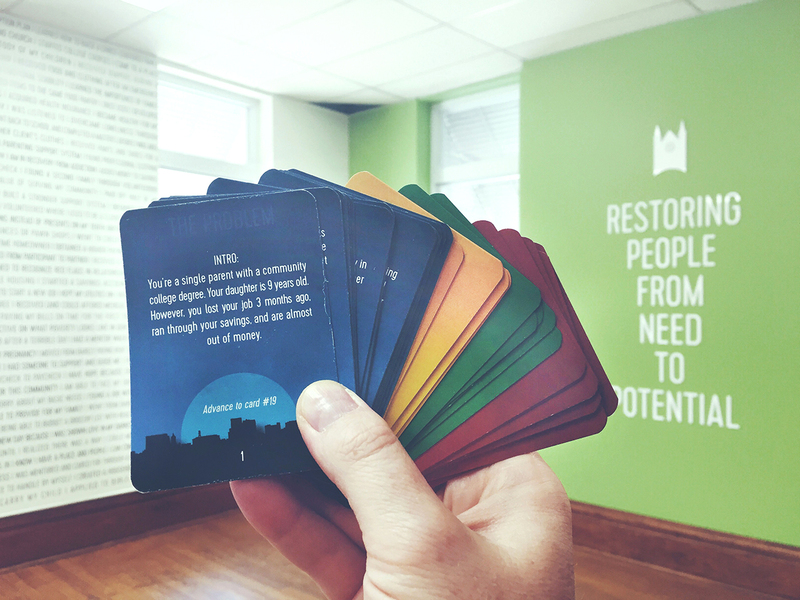 Choice cards give you options as you continue on through the cards to see where decisions take you. While not designed to be a “fun,” entertaining game, this experience will hopefully help you empathize and appreciate the struggle by making these difficult choices yourself as you play. 1. Contact us to order a pack ($10/pack). 2. Schedule a tour where you can have the opportunity to play. P.S. – If you haven’t already, check out the 5 Minutes in Poverty walk-thru display.